TD-800/200 EX kanal tipi karma akışlı ex-proof fan, anti statik plastik malzemeden imal edilmiştir. Eşsiz gövde tasarımı sayesinde, bağlı bulunduğu kanaldan demonte edilmeden, fanın motor ve fan pervanesini söküp takabilmek mümkündür. Fan motorları 230 V-50 Hz ve güvenliği arttırılmış ex-proof özelliklidir. 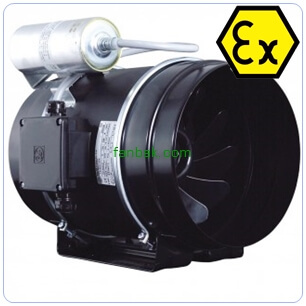 Low profile in-line mixed flow duct explosion proof fans. TD-800 Ex is manufactured in ntistatic plastic material. The others models are manufactured from sheet steel protected with black polyester paint coating. Detachable fan unit without demounting duct connections. Working temperature from -20 to +40ºC. Motors : Single phase 230V-50Hz. IP44, Class B. , Explosion proof versions in accordance to ATEX 94/9/CE Directive. For model 800: - Increased safety II2G EExeIIT3 EC nr. LOM 08ATEX2052 X Supplement 2. 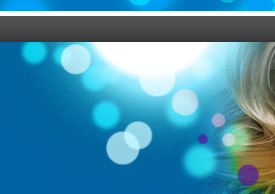 For models 1100 and 1200: - Increased safety II2G EExeIIT3 Gb EC nr. LOM 11ATEX2021 X Supplement 1.